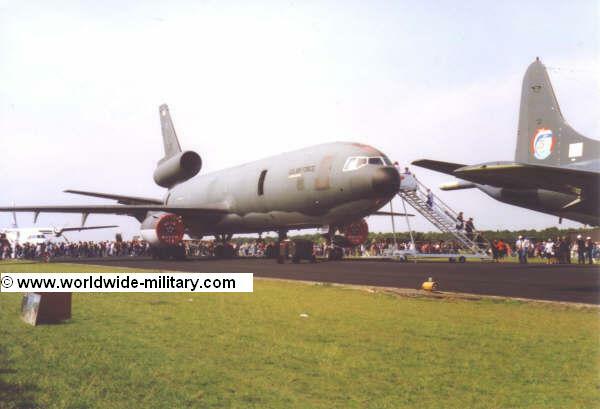 The KC-10A Extender is a American wide-body tank- and cargo aircraft from the US Air Mobility Command. It is based on the commercial McDonnell DC-10 aircraft. In combination it can refuel fighter jets and at the same time transport passengers and aircraft parts to a overseas air bases. The crew contains a pilot, co-pilot, flight engineer and a boom operator. Primarily, the KC-10 is a tanker. For this task it has 3 standard fuel tanks and can carry 3 more internal to a total of 356.000 pounds of fuel. 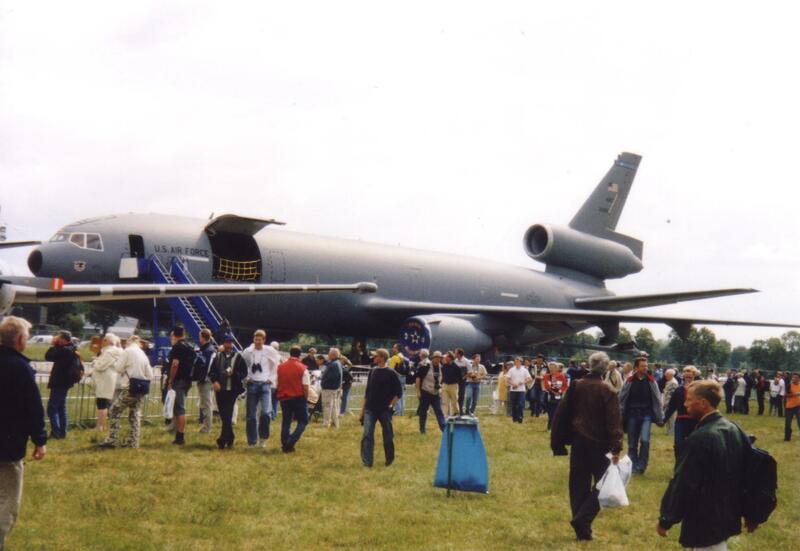 This is twice as much as the KC-135 Stratotanker but this is also due to the much larger size of the KC-10. 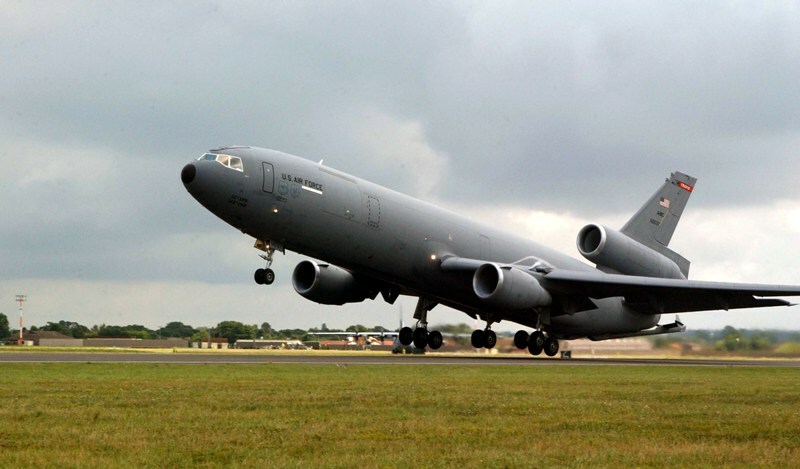 The KC-10 are new build aircraft for the USAF on the basis of the commercial freighter DC-10-30F. The KC-10 characterizes itself with the commercial passenger aircraft that it has no windows (which is better for the fuselage construction). The fuel is transported by a solid boom. 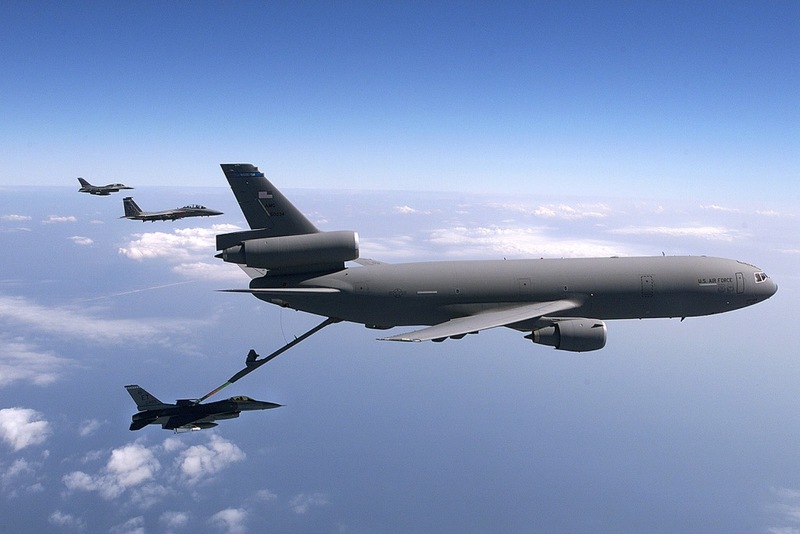 The KC-10 can refuel different types of aircraft. 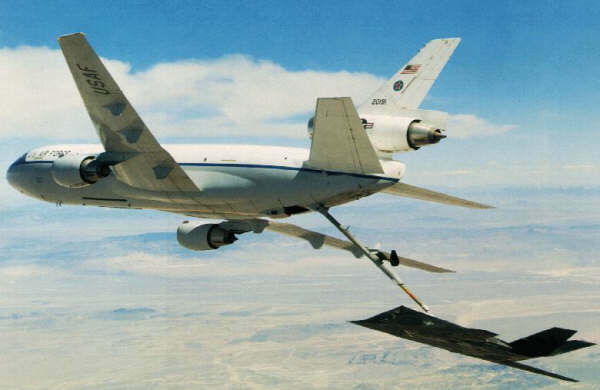 It can also tank another KC-10A Extender. The airplane can give a maximum of 4180 liter/minute. In the aircraft, the boom operator - who controls the boom - sees the other aircraft through a large glass window. 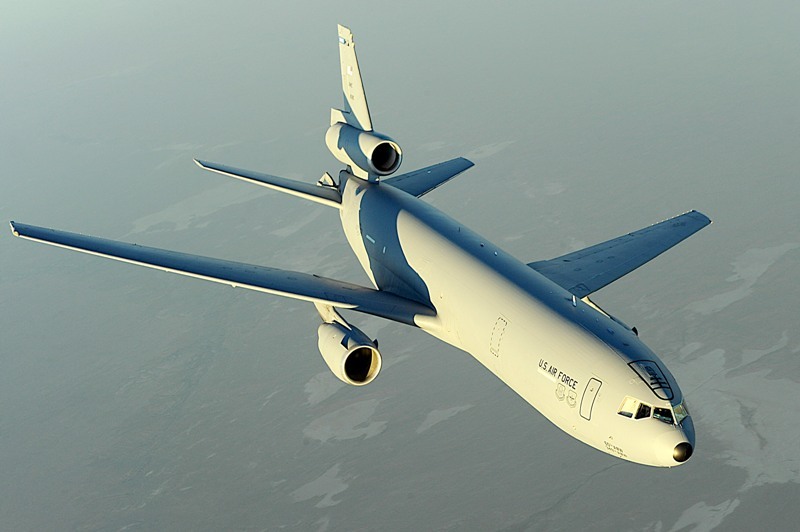 The KC-10 has an advanced fly-by wire system to control the aircraft about the 3 axis. Control is done by a Yoke.